Much more than a simple carpet store, we provide a myriad of flooring services. Ideal for the professional flooring installer as well as the handyman, we carry an enormous selection of name-brand tools and supplies at prices that can't be beat. 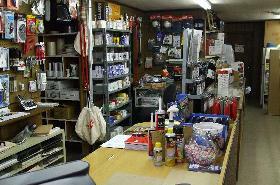 Please visit our online store to view or order the quality tools and supplies you need. Or rejuvenate your floors with quality flooring from Greenville Carpet Supply Company. We carry brand name carpets, hardwoods, vinyl and tile from such names as Shaw, Mohawk, Mullican, Mannington, Congoleum and Southwind. We are easily located across from the American Legion building, we invite you to stop by today or simply contact us to learn more about our versatile flooring services. Family-owned-and-operated since 1991, Greenville Carpet Supply Company began as a small retirement project and quickly blossomed into a full-service flooring business. Backed by more than 37 years of experience, our professionals are dedicated to providing you with quality service and products. Visit our store in Greenville, North Carolina, for the finest selection of floor coverings, floor installation tools and supplies in the area. Call us for the very best floor coverings, floor installation tools and supplies available, or visit our online store.